VINEYARDS | Estate vineyards both on hillsides and the plateau in Saint-Joseph on granite soils at an average of 300 meters elevation. WINEMAKING | Hand harvested fruit that undergoes a twenty day fermentation in tank with daily pigeage and pressed at dryness. 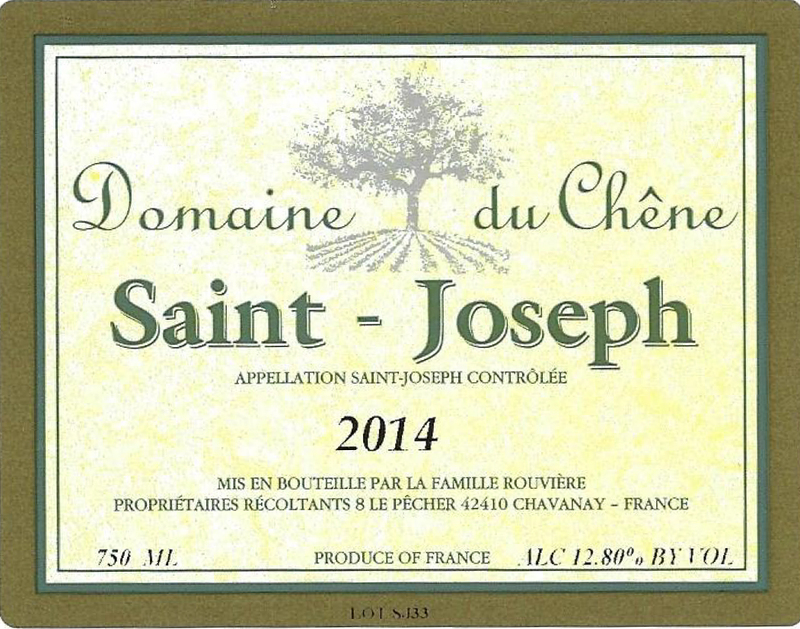 Aging for 12 months in French oak. TASTING NOTES | Intense nose of dark fruits and leather with wild blueberry and blackberry flavors with some truffle, black olive and tar notes. As the wine opens up, the are also complex coffee and herbal notes and the fruit evolves further. Supple and plush with firm and creamy tannins, great concentration and a velvety finish.